AutoSmart is a company we know we can trust, because for many years we have bought many of our products from them. Silver Seal is a no nonsense product which is easy to maintain. Once it's on the car all you have to do is wash with their Care'n'Clean which comes supplied with the kit in a big bottle. There are no conservers or additives or special cleaners. SilverSeal is guaranteed for 3 years on a new car, 2 years on a one year old car, and 1 year on all other cars, although it will easily last more than two years on older cars if they are well prepared. However, sealants don’t fall apart the moment the guarantee ends! Silver Seal can be expected to last quite a bit longer than the guarantee. We have used SilverSeal on one of our courtesy cars and thus far have been very impressed with the results. As with our other sealant packages, AutoSmart’s SilverSeal comes with an interior fabric protector which will stop permanent staining and prevent dirt from sticking to the fibres of your seats and carpet. These prices include full interior/exterior kit, manufacturers guarantee, and care'n'clean shampoo. 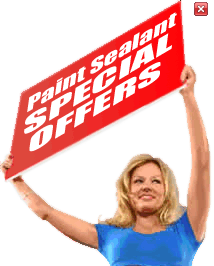 Everything you ever wanted to know about sealants and haven't been afraid to ask. Too far away to come to Clean Image? Valet Shop stocks AutoSmart products suitable for use with Silver Seal such as Care'n'Clean.